This new Internet Censorship web project by Parsons New School for Design student Evan You highlights some common findings about the current state of internet censorship. 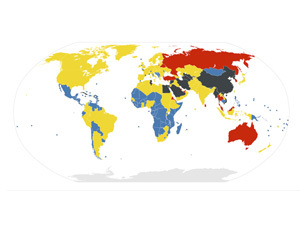 Using data from Reporters Without Borders and OpenNet Initiative the site uses simple visualizations to show the who, what, how and why of web censorship across the globe. Did you know most of the U.S., Europe and South America is under some kind of censorship and that blogs and political parties are amongst the most targeted?